PLEASE NOTE: TO view preview videos for all topics, you must be signed in. If you do not have a sign in name, please create an account and you will get FREE PREVIEWS of all videos. 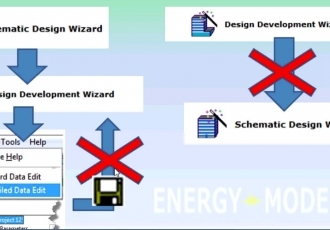 The first two wizards, schematic design wizard (SD) and Design Development Wizard (DD) are used to design and construct a project, while the Energy Efficiency Wizard (EEM) is used to make comparisons. For instance, what if you want to try multiple types of glass in your building simulation? You would use the EEM to model up to 10 different options. 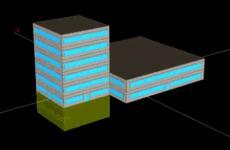 Lets start with a simple calculation: We have a single shell building and we want some quick simulation results. We can run the SD in a matter of minutes to show the standard reports, and then run the EEM, which would give you the standard reports as well as the parametric run reports comparing multiple options. To make things a little bit more confusing, we could have done the exact same thing in the DD which would have taken an additional few minutes, but not really significant. Q: "Which eQUEST wizard do I use?" A: For completely new users to eQUEST you can almost always start with the SD, used for single shells, while the DD is used for multiple shells. So what is a shell? 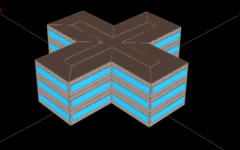 If you look at the pictures here you see a three story building sharing the same building footprint, which is a single shell. The building on the right shows a single building with an additional wing that would be considered an additional shell. This is because all parts of the building do not have a common footprint. However if you started in the SD and later on discover there is an additional shell you can always jump from the SD to the DD. 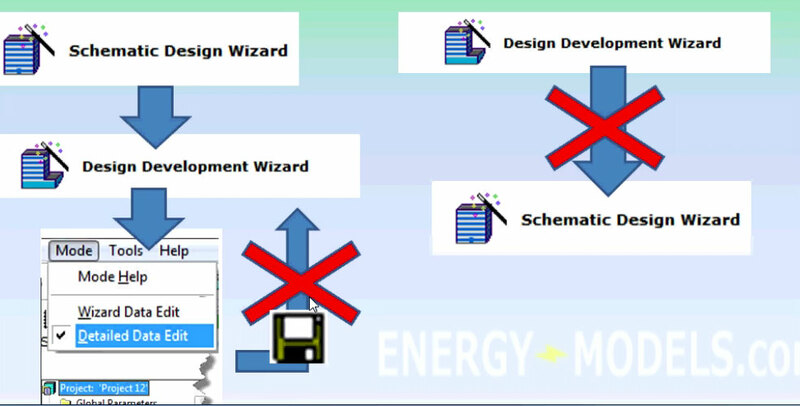 EQUEST is made so transitions to different programs and wizards are possible without losing your data, but these movements are usually one directional, meaning that if you were to go from the SD to the DD, you cannot go back to the SD. Going from detailed data mode to the DD or SD is also not possible. A common mistake is that users start in DD and try to go to the SD. This is impossible since the DD uses more data than the SD and you would lose data by transition back into the SD. Lets take a look at some of the common flow diagrams an eQUEST user may encounter. 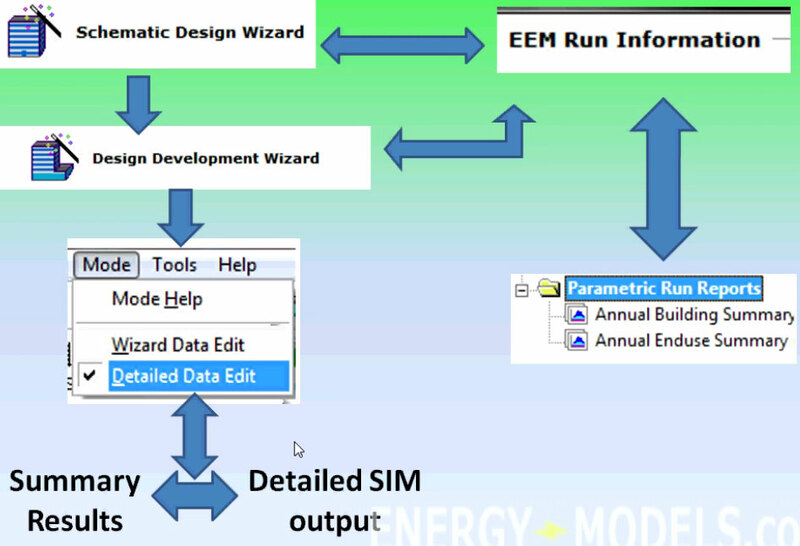 A user may simple start in the schematic design wizard and jump into the summary results or detailed sim output (advanced results). The user may also run the same file in the SD and run the EEM report and get the parametric reports in the meantime. The same thing can be done with the DD, but remember that DD allows more than one shell and mulitple options. Both of these wizards are covered in the intro to eQUEST course. Another common flow diagram is to start with the SD, run your parametric runs, then jump into the DD, run your parametric runs again, and from the DD you could run your summary results or get your detailed results as well. If you going to use eQUEST your proabably going to have to use the detailed data entry. For this workflow you could start in the SD, run into the DD, move to detailed data entry and finally get your results. This is common for energy modelers, but before you get that far you need to understand how the files are related and how they operate. .PRD - Parametric Run Definitions: this file contains the opitions when you run parametric runs, for instance when comparing glass types. 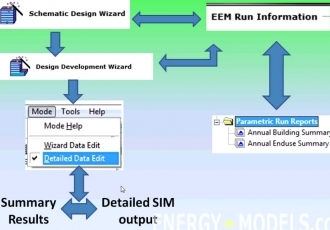 Some knowledge of energy modeling.